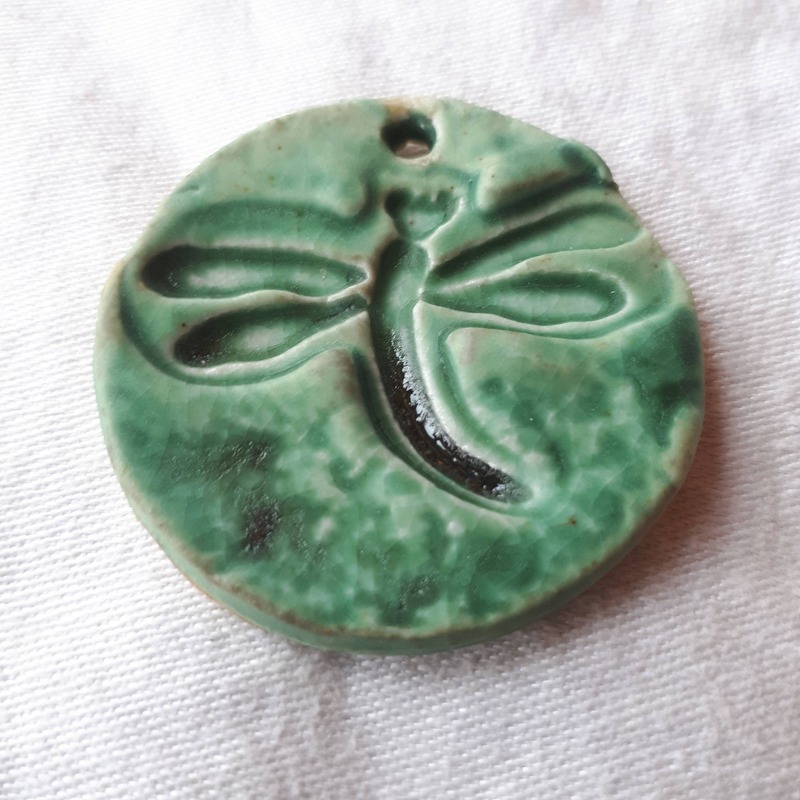 Pottery porcelain dragonfly pendant piece is soft green is ooak. 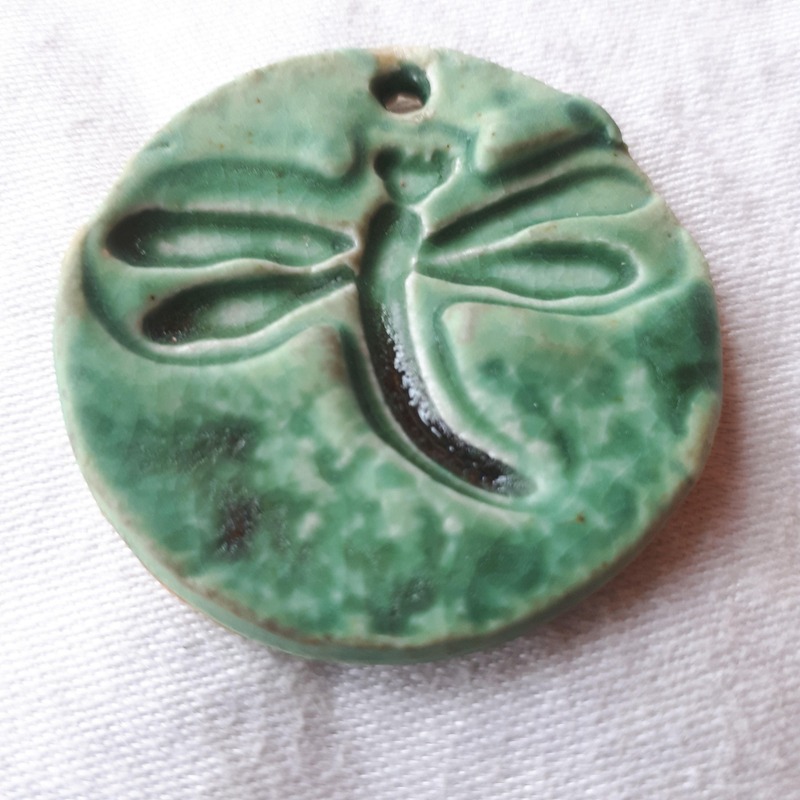 Handbuilt and stamped with a dragonfly, it would be perfect in a necklace and is durable as it has been high fired. Jewelery is always a great gift, and when it's handmade even better. Each piece is made one at a time in my studio, where I primarily make tableware and from time to time buttons.